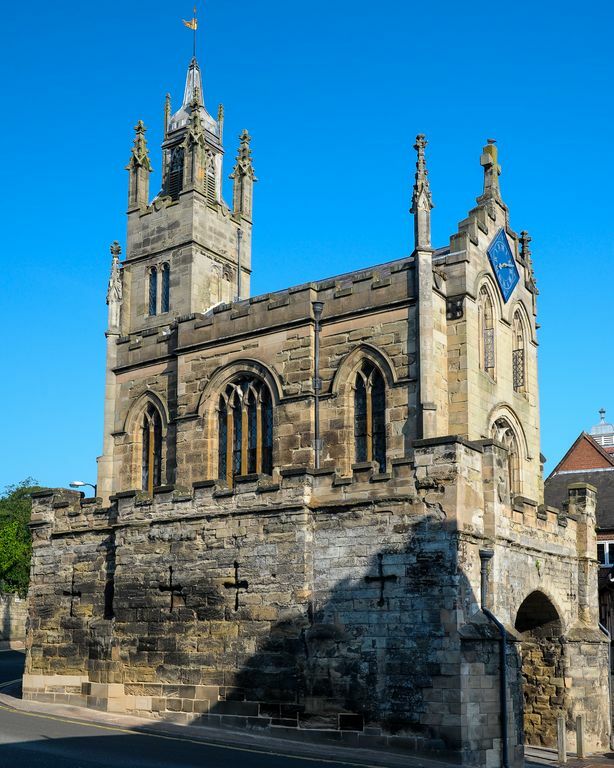 The East Gate and St Peter's Chapel stands majestically over the medieval arch, once the main entrance into the county town of Warwick and is centrally situated next to Warwick Castle and the River Avon. Views of the town can be seen in all directions from the battlements. The Chapel and Clock Tower are outstanding landmarks in Warwickshire. The property is owned by a local couple, assuring first class personal attention. It has been lovingly and sympathetically restored, maintaining the historic integrity of the building, while incorporating every modern convenience to ensure the comfort and enjoyment of guests. The original stone floors remain intact, as do the magnificent Gothic leaded windows which provide a light and airy atmosphere. Local amenities include Golf, Warwick Racecourse, St Nicholas Park with boating facilities, Crazy Golf and Swimming Pool and a Railway Station as well as the Castle, shops, restaurants and cafes all within easy walking distance. Stratford upon Avon and the Cotswolds are only a short distance away. There are easy links to Birmingham Airport, Motorways and Rail Stations. Regular bus services also run from the centre of the town. Bob and Sarah have lived locally for the past 40 years in a listed farmhouse and have a love of old buildings. They have two daughters and two grandchildren, all of whom love to stay at The East Gate when the opportunities arise! The grandchildren particularly enjoy staying in their "Castle"! Warwick, the County Town of Warwickshire, is steeped in history and is easily accessible. When the opportunity arose to purchase The East Gate, it was like a dream come true for Bob and Sarah. They jumped at the chance to restore the building to its former glory. Previous to the sale the building had not been accessible to the public for hundreds of years and so they were eager to share the experience of staying in this unique property with guests from all over the world. The East Gate, whilst being a haven of tranquillity, is ideally situated to walk to the numerous shops, restaurants, bars and cafes. Standing on the battlements, either by day or in the evening, with a cup of coffee, or something stronger, one can see the town from all directions from this unique vantage point. Maria and family were the perfect guests. They enjoyed and respected the history of the building and left the apartment clean and tidy. I would love to have them stay again. This is a unique property. It is situated in the middle of town, handy for shops, restaurants and the castle. The building itself is amazing, and has been very well restored, losing none of the features of the building. However the modern additions, bathrooms, kitchen are all the best quality, with everything you would need provided. It is very warm and cozy. All in all one of the best properties we’ve stayed in. Very nice family who left the apartment clean and tidy. Great place to stay. Perfect for the castle. So much history and character. Loved it. What a lovely place. Huge ceilings, ramparts with a 270 degree view, a very well stocked house, comfy beds, great showers, easy to walk around the town centre - I would definitely recommend staying here to anyone. If you think from the pictures this place looks good, you have got to stay there. Its totally amazing!! In every way. We were looking to stay in or around Warwick for a few days so we could visit the castle with our 2 children, 14 and 12, for the spooky Halloween week Staying in the East Gate and St. Peters Chapel was like staying in our very own castle. This accommodation is a total credit to owners Bob and Sarah. Everything you need or might need is there, i.e. from fresh milk, orange juice, croissants, tea, coffee and all manner of cooking utensils, pots, pans even dishwasher tablets etc. There are even extra special touches like fresh flowers in the living room, sewing kit, shoe polishing station, jigsaws, games, DVDs even 3D glasses for the TV. It is situated right in the heart of Warwick only 3 min walk to castle close to all shops and restaurants. There is a car parking pass to place in your car for free parking during your stay. I would recommend anyone to stay here, the property was spotlessly clean and tidy. The owners really have thought of everything! On arrival, Bob gave a very interesting tour of this amazing building and told a fantastic story of the buildings history dating back to the 14th century, even the furniture has a history! Its not everyday you can stay at a place like this and we can not wait to go back. and will 100% be booking again in the future. Can not wait to return. A car is not necessary if staying in the town of Warwick but is recommended for travel further afield. The property is within easy walking distance of shops, restaurants, bars, cafes, supermarkets and banks. The restaurants offer cuisine from all over the world and many offer takeaway facilities. Several National Trust properties are within a short drive. The local park is within a five minute walk and offers boating, crazy golf, children's play area, café and indoor swimming pool.